Street sweeper trucks may not be on everyone’s mind, but if you’re a property owner, then they should be. Keeping a roadway in a development cleared is one of the best ways to show residents that you care about their well-being. For those who own shopping malls, plazas, and other commercial properties, you can be satisfied in knowing that customers will enjoy shopping in a neat and tidy establishment. 1. Sweeper trucks pick up the big stuff: Trash and other types of debris can mar the appearance of any property, and that’s bad news when you’re in business. By using a sweeping service, however, you can ensure that all of the stuff you don’t want on your property gets cleaned up. These trucks make trash disappear fast, which is far more convenient than trying to sweep or handle the trash clean up yourself. Regularly sweeping up this debris also ensures that it won’t clog storm drains or cause any other disasters. 2. Contract sweeping services catch the items you don’t see, too: In addition to trash and dirt, there are some things you might not know are lurking in your lot. Oil, grease, and heavy metal from cars can pollute pavement and potentially seep into groundwater if enough of it builds up over time. A clogged storm drain after heavy rains could push bacteria and other microbes to a lot or road’s surface, leading to the spread of disease and maybe even some unpleasant smells. Sweeper trucks don’t just vacuum, though — they can also scrub out these pollutants and stop them from doing major damage. 3. Routine sweeping can improve your property value over time: By making sure that your property is properly maintained on a regular basis, you’re ensuring that your investments are cared for. Additionally, home buyers will be happy to live in your community, and customers will be pleased to shop in a quality establishment when it is clean. 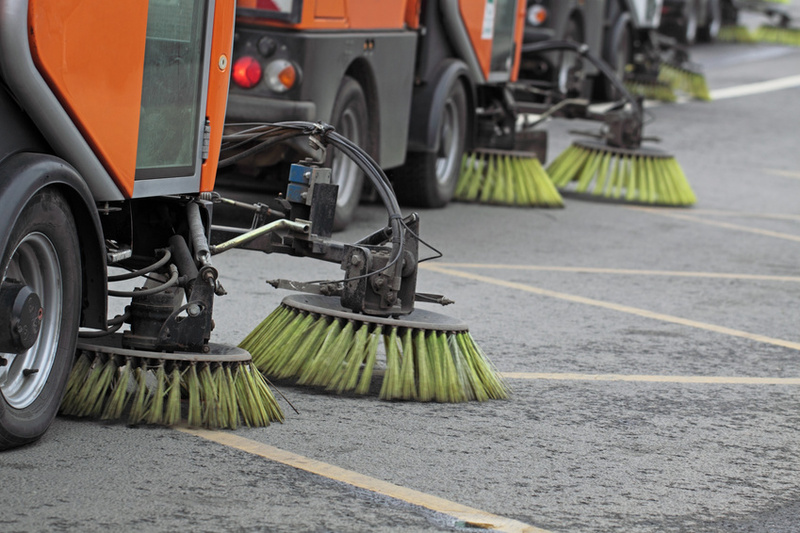 The cleansing effects of street sweepers can help in the prevention of land, water, and air pollution on your property. If you’re still debating the use of contract sweeping services for your property, then get in touch with one of these companies to find out more. You can also use street sweeper rental trucks to do the job yourself if that suits you better. Have more questions? Leave a comment below. Find out more at this site. Posted on January 22, 2015 by Gina. This entry was posted in Parking lot clean up, Power sweeping, Trash clean up. Bookmark the permalink.